If you are like me and don’t like spending too much time cleansing your face, then this Refreshing Face Wash from Organic Surge is definitely worth considering. While I love Green People Orange Blossom creamy cleanser, I also love no-fuss face wash such as this one from Organic Surge. It’s just so quick and easy – simply lather a few pumps of gel in your hands and then massage it onto your face, adding a little bit of water. The dirt and grime of the day are removed in no time and your face will feel soft and squeaky clean afterwards. I do this under the shower so I don’t feel I have to spend any extra time cleansing my face. I bought Organic Surge face wash twice so far in TK Maxx and I would definitely buy it again as it just works for me. I used to wash my face with a natural soap from Faith in Nature but in winter I found it a little bit drying to I switched to Organic Surge’s face wash. It definitely made a difference and my skin felt less dry. 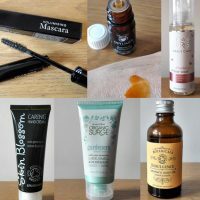 I have a combination skin which can get quite oily in summer but in winter it gets a bit dry. If your skin is really dry, your best bet would be a creamy cleanser or oil-based cleanser as this type of cleansers will not strip your skin of natural oils. I’ve been using this face wash together with a creamy cleanser from Green People – when I want to quickly finish my evening routine, I use Organic Surge Refreshing Face Wash, but when I am not rushed I use Green People Orange Blossom Cleanser which I love (it only takes a few more moments to cleanse your face with it but still, I can be lazy and when that happens I use Organic Surge Refreshing Face Wash instead). Organic Surge products are NOT tested on animals and are 100% free of harsh chemicals – no parabens, sodium lauryl sulphate, no artificial fragrances or colourants and no genetically modified ingredients. Most of their products are now certified by ECOCERT and contain a minimum of 96% naturally derived ingredients. Organic Surge products are affordably priced and suitable for vegetarians and vegans (apart from their Extra Care Hot Cloth Cleanser which contains beeswax). 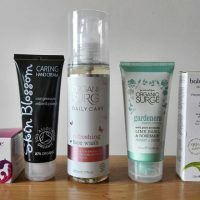 Apart from their face wash I also love their Gardeners Hand Cream, so good in winter and when you work in front of the computer (I cannot find it on their website though so I think it has been discontinued which is disappointing). Organic Surge also offer hair and body products with some of them coming in bundles which saves you money. Get free delivery on Organic Surge products here. 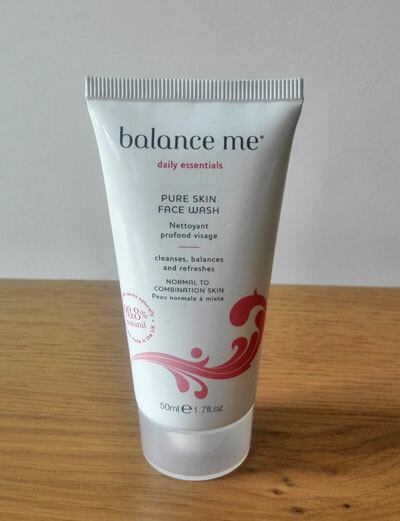 Organic Surge Daily Care face wash is an award winning face wash which is also suitable for sensitive skin. It’s enriched with organic Rose Geranium Flower Oil and when you are using the product you can actually smell this lovely rose scent. It’s not overpowering though. The face wash contains natural glycerine which is the reason why your skin won’t feel dry after using this product. Another great ingredient is aloe vera which soothes irritation and redness. I think those with combination skin and skin prone to breakouts will especially benefit from using Daily Care Face Wash although it’s suitable for all skin types (as stated on their website). Your skin, however, may need an extra care and in that case, Brightening Hot Cloth Cleanser may be more suitable. All in all, I’ve had a good experience with Organic Surge Daily Care Refreshing Face Wash and I am happy to recommend it.